I think I was about 8 or 9 when I first heard of 'clubhouses'. About that time my mom told me about her brother, Uncle Frank, who, at about age 13, built himself a shack across the street from their house in Providence, Rhode Island. 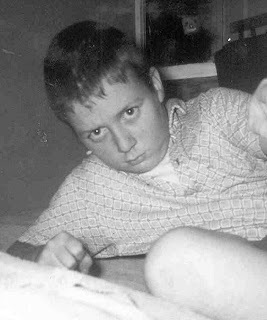 He even buried an electrical cable under the street and practically lived out there to avoid his three sisters and their strict mother. 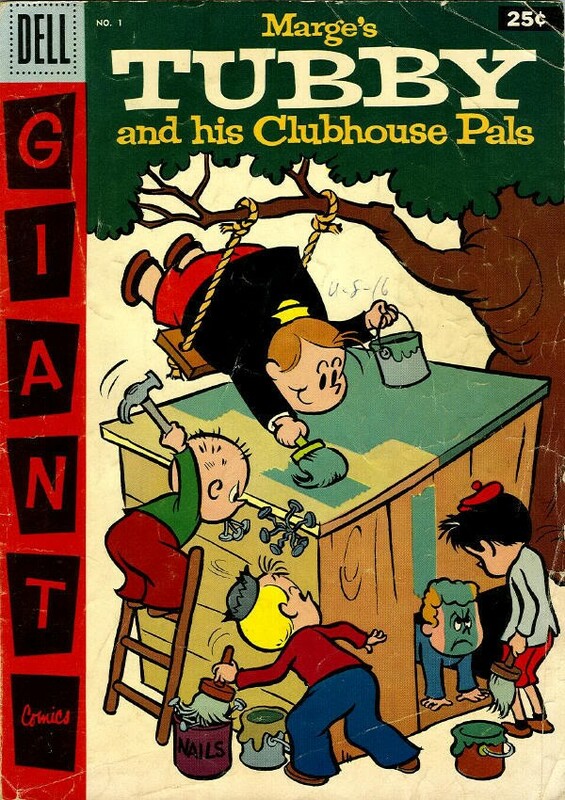 Then I found "Billy's Clubhouse" by Marion Holland in the school library. 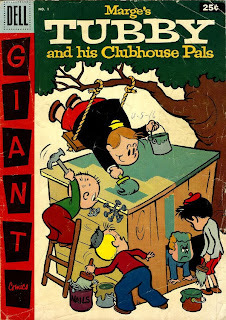 Billy managed to get his friends to help him build a clubhouse in trade for membership status. At home I read "Little Lulu" comic books, in which her sort-of friend Tubby had his own clubhouse with a tiny crawl-through door. I was hooked! There was something awesome about these real and fictional kids having their own place, that they built themselves, into which they could go and shut out the world and its annoyances! I didn't know how they built their clubhouses but I wanted to do it! Kids are forgetting how to use their hands to create things. They are losing touch with nature, self-reliance and resourcefulness. They are seldom given the chance to futz around with some wood and maybe build a hideout they can call their own. Instead they are encouraged to attend supervised after-school activities, play organized sports all summer, or simply stay indoors where they can be safe. They are growing up in an increasingly indoor and supervised world, spending ever more time with ever more pervasive electronic devices. And many kids are also becoming dangerously overweight from lack of exercise. This is why I feel I should write this blog, and a book on this very subject! 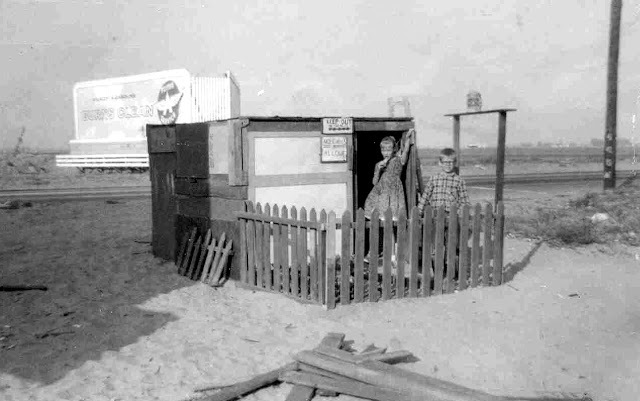 I'll start with my own story about growing up in Southern California in the 1950s and early '60s. To keep me out of trouble, my mom encouraged me to draw pictures by bringing home old menus from her restaurant job to draw on the back of, and to build things by giving me cut-off 2 by 4 blocks from construction sites to build with. By age eleven I was ready to attempt a clubhouse! Hi. My name is Lee Mothes. I enjoy building. 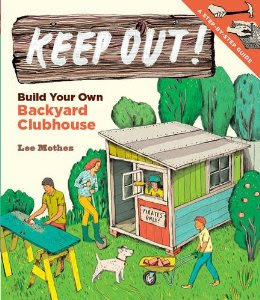 Learning to build clubhouses without the help of adults was my biggest accomplishment as a kid. I've been an artist most of my life, and for many years a freelance carpenter, house-painter and remodeler. I built five clubhouses as a kid, and then a couple of cabins, some room additions and one house (so far). I studied architecture at California Polytechnic College in 1968, but dropped out in 1969....for many reasons. The biggest reason was that I enjoyed building small spaces, such as cabins, cozy room additions, guest cottages, and very small houses. I couldn't see myself designing hospitals!